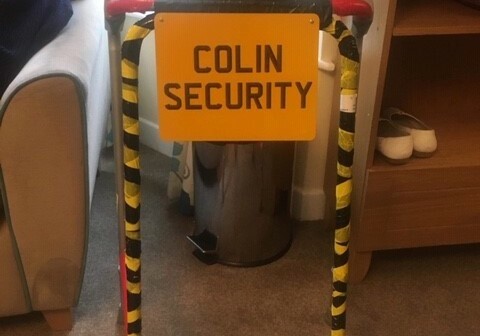 Residents of a HC-One care home based in Coventry have been decorating their Zimmer frames, along with staff to help reduce the number of falls. The Pimp My Zimmer project aims to reduce falls after a care home matron noticed people with dementia sometimes find it hard to recognise their own frame. Zimmer frames are usually grey, making them hard for people with dementia to tell apart or, in some cases, see them clearly. But with the help of staff at Brandon House, Residents have had their frames transformed into colourful works of art. HC-One’s care home manager, Sheryl Davis, said: “Our main priority at Brandon House is to ensure Residents recognise their frames, which will help to reduce the number of falls. Staff at Brandon House explored Resident’s pasts to ensure frames were truly personalised, so that Residents would want to use them. 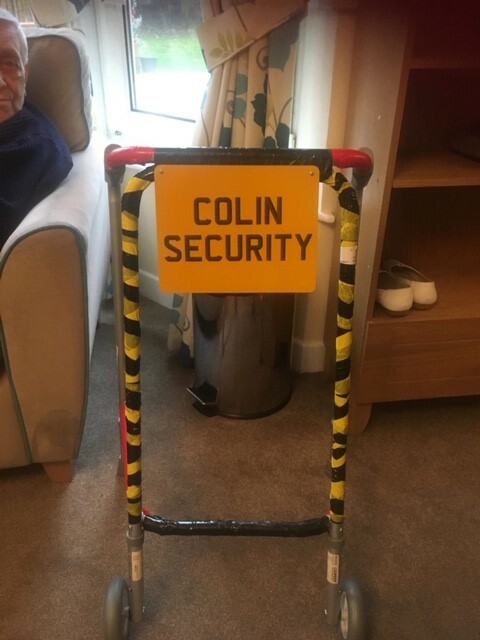 One Resident, Colin Gulliver, had spent many years as a security guard in Coventry and always loved being in a job where he was in control of a situation. Now, his security branded Zimmer goes everywhere with him as he fulfils his security checks around the home. Another Resident, Jean Forrest, dedicated his Zimmer frame to ‘Coventry ska legends’, The Specials as he spent the majority of his life following the band and getting to know the group through his son. His Zimmer is branded in two-tone colours and extremely striking and recognisable. HC-One’s Brandon House is a purpose built home offering nursing and dementia care, on the outskirts of Coventry. For more information or to arrange a tour, call 024 7663 8602 or visit https://www.hc-one.co.uk.